While bearded dragons (genus Pogona) indeed need water in their diets, it's not always as simple as pouring some into a bowl and leaving it in their living quarters. If you have one of these Aussie lizards in your care, consider the climate of your geographic location before determining how to handle your pet's hydration needs. Bearded dragons take care of much of their hydration requirements through the plants they munch on. Fresh vegetables are a big part of the classic bearded dragon diet, whether kale, zucchini, dandelion greens or anything else your veterinarian approves. Despite that, it's still important to give dragons actual water on a regular basis. The optimal way in which to provide your beardie water largely depends on the climate you live in, so take note. If you reside in an area that doesn't get a lot of humidity, it might be a good idea to give your bearded dragon constant access to a bowl of clean water, as long as it's shallow. Refrain from using bigger bowls because you don't want to raise the humidity levels inside of your bearded dragon's enclosure. A small water bowl should work just fine for managing your pet's water needs. Tops of jars often make suitable "bowls" for thirsty bearded dragons. Always refresh your lizard's water supply on a daily basis. Dirty water is a major no-no. If you inhabit an overly wet, humid locale, perhaps by the water or in a marshy setting, you don't want to keep a permanent water bowl in your bearded dragon's living environment. Doing that introduces the risk of raising the humidity of the enclosure. Instead, give him water in a shallow bowl for blocks of a couple hours every other day. Once two or three hours have passed, you can swiftly remove the water from the enclosure. Voila, your pet can drink fresh water without the humidity around him skyrocketing. Not all bearded dragons automatically "know" to take their water from bowls. If this concerns you and you don't think your pet is drinking out of his bowl, you can gently spritz water onto him using a spray bottle. Do this as long as he keeps drinking the water, roughly two times per week. Beardies lap up this water by licking it, whether from the sides of their enclosures or their bodies. Be moderate in your spraying to avoid excessive wetness of his surroundings. Bearded dragons also appreciate once-in-a-while lukewarm baths. Careful monitoring is crucial for all bearded dragons in baths. 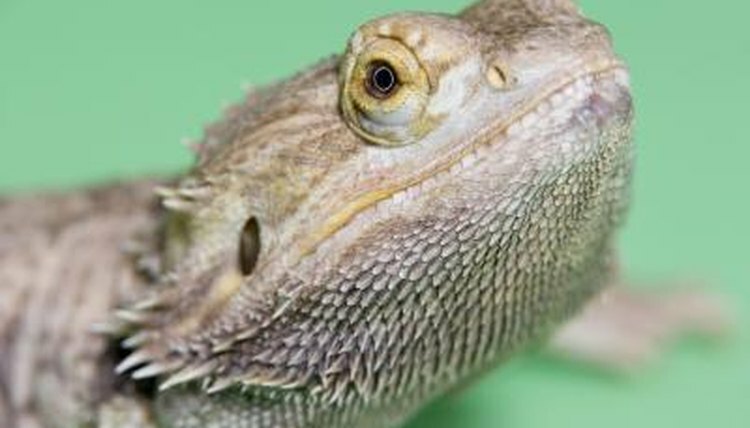 Are Misters Good for Bearded Dragons? How Does the Opossum Drink Water?